Mothers, be very aware. 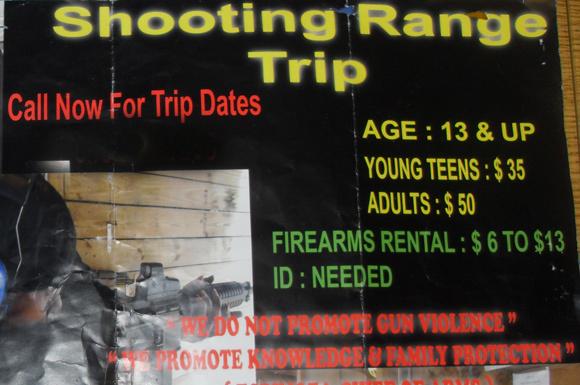 As day bus trip season ramps up, someone got the bright idea to advertise Shooting Range out-of-state day trips for 13-year-olds. A full-color glossy poster promoting the Shooting Range trips was recently found on a tree near the intersection of Livonia and Rockaway Avenues. The 11″-by-18″ glossy depicts several pictures of an adult Black male aiming AK47 and AR15 assault rifles. Specifically stating an age requirement of “13 & up”, prices are “Young Teens: $35” and “Adults: $50.” A “Firearms Rental” fee is “$6 to $13.” ID is required. The poster depicts the name of a gun club, a contact number and a website. An inquiry found the day trips are to Philadelphia, Pennsylvania where guns and gun training are legal. 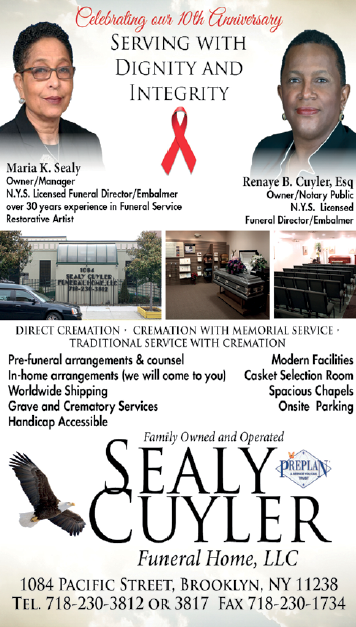 NYC has gun ranges, but someone must have a gun license in order to use them. According to the website printed on the poster, the organizer is a rapper/activist who is using videos to recruit young people. Apparently, in January 2012 the organizer decided to form a gun club. NYPD cannot do anything about the Shooting Range day trips because they are not breaking the law. So far.